Dimensions: total height 82cm, seat height 47cm, armrest height 68cm, depth 59cm, width 61cm, weight 5kg. Available colors: linen, dove grey, yellow, light blue, light green, geranium red, anthracite grey. 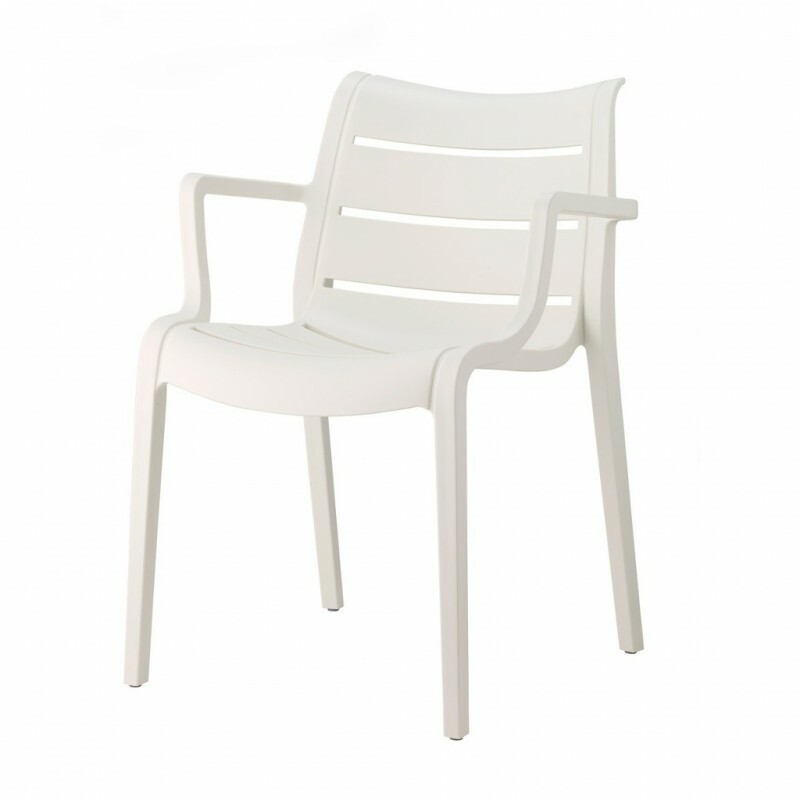 Sunset is an elegant chair suitable for both indoor and outdoor use. Perfect in any environment, it is characterized by a fresh and personal design. Available in different colors, it fits perfectly in the many types of outdoor furnishing, dining and relaxation. A chair capable of integrating perfectly into any context, transforming environments with a touch of class and color. Ideal for both domestic and contract projects. Technopolymer structure reinforced with fiberglass made by injection molding with air molding technique. The Sunset chair is easy to handle, sturdy and easily stackable. If you want to see the other models with armrests of the Design technopolymer line, look below in related products.